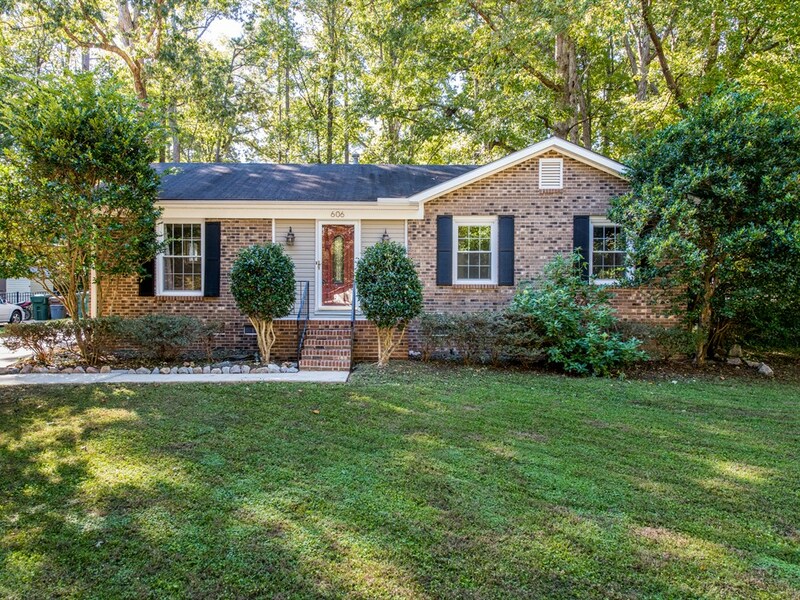 What isn’t to love about this quintessential Cary ranch — in an ideal location, to boot? 606 Webster Street has been updated and is ready for you to move right in to start enjoying this fall season. Worried about heat loss heading into the winter season? No concerns here! Vinyl windows offer energy efficiency and low-maintenance care come spring. And the features don’t stop inside, either. Kick back and take in the crisp fall evenings from the screen porch that overlooks the large, level fenced backyard. There’s even a chicken coup! (Seriously, enjoy fresh eggs from the backyard. You’ll never go back to grocery store egg runs again.) The easy-care routine continues thanks to brick and vinyl exterior walls. Spend your free time enjoying all that Cary living has to offer since you won’t be busy working on tedious home maintenance! Bond Brothers Brewing is just around the corner as well as Annelore’s German Bakery which we know is soon to become your favorite weekend sweet spot. We look forward to showing you around this home for sale in Cary beginning Thursday, October 25, 2018. Please contact us at 919-868-4383 or Renee@HREGSells.com to schedule your showing.